The Learn by Doing Fund was established in 2016 to provide students with grants for activities that emphasize Learn by Doing, including senior project research, presenting papers or posters at conferences and internship and/or study abroad expenses. The fund comes from an annual $500 alumni donation that the Social Science Department matches for a total of $1000. This year the department was able to provide funds for four student projects. Kira Evers was granted funds to present her research at the California Geographical Society (CGS) Annual Conference on a project beta-testing an ESRI app that finds optimal locations for blue-light safety stations on the Cal Poly campus. Evers won the award for Best Digital Cartography from the CGS. 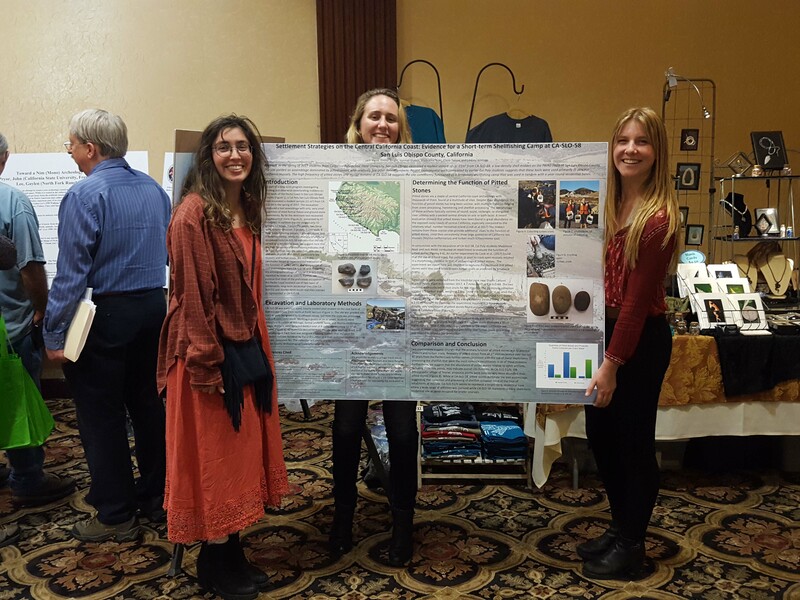 The next awardees were Jack Webb, Hannah Ehrlich, Emma Wright, and Madeline Noet who presented a poster at the Society for California Archaeology Annual Meeting in San Diego. Their research focused on the spatial distribution of Millingstone Culture (10,000-5500 years BP) artifacts at a site investigated by Cal Poly students near the Diablo Canyon Nuclear Power Plant. Brooke Richter was awarded funding to support her study abroad research in Cusco, Peru, where she worked with Dr. Jim Keese to evaluate the relative success of efficient stoves that Cal Poly students have installed in the homes of indigenous people over the last decade. Finally, Kaitlyn Jonkhe was awarded funds to carry out senior project research in Senegal and Spain where she collected information on migrant experiences in both their home communities in Senegal and new locales in Spain. In the future we hope to expand the Learn by Doing Fund in order to offer larger amounts of funding to more students. If you are interested in donating, please contact the Social Sciences Department. Every dollar goes directly to student projects.